The Tongariro National Park, located in the center of the North Island of New Zealand, is one of the country's most important natural areas and one of international renown. It is the oldest national park in the country and was actually only the fourth national park to be established anywhere in the world. It is also one of only 28 areas in the world that have been granted dual World Heritage status by UNESCO, for both its cultural and natural significance. It is also home to the most popular walk in New Zealand, the Tongariro Crossing. The park is nearly 800 square kilometers (500 square miles) in size. It is located virtually in the middle of the North Island and is almost the same distance from Auckland and Wellington in opposite directions (about 320 kilometers/200 miles) from each. It is also just a short distance to the south west from Lake Taupo and many visitors use Taupo as their base to explore the area. The area, and especially the three mountains, are of great significance to the local Maori tribe, the Ngati Tuwharetoa. In 1887 the chief, Te Heuheu Tukino IV, passed ownership to the New Zealand government on the condition that it remained a protected area. The initial area of 26 square kilometers (16 square miles) was expanded in subsequent years, with the last parcel being added as late as 1975. The most historic building in the park is the Chateau Tongariro; this large hotel in the Whakapapa Village at the base of the ski field was built in 1929. The most dramatic features of the park are the three active volcanoes of Ruapehu, Ngauruhoe and Tongariro itself which are the focal point of the entire central North Island. The Tongariro River is the main river feeding Lake Taupo and it has its beginnings in the mountains. There are also many streams and tracks to explore. One of the most distinctive aspects of the landscape in the Tongariro National Park is the tussock grass which covers large areas of open ground. These low native grasses do well in the elevated alpine areas of the park surrounding the mountains. In winter many of these areas are covered completely in snow. The park also contains areas of forest with large numbers native beech and kanuka trees. At the highest areas of the park, however, only lichens are able to survive. The birdlife in the park is also very distinctive. Due to the remote location, there is a wide variety of native birds, including the tui, bellbird and several rare species of kiwi. Unfortunately the birds have many predators in the form of animals which were brought into New Zealand by the early European settlers, such as rats, stoats and the Australian possum. However, thanks to a strong eradication program, the numbers of these pests are diminishing. Red deer are also hunted in the park. Both summer and winter (and the seasons in between) offer lots to do. The main activity in the winter is skiing and snowboarding at either of the parks two skifields, Turoa and Whakapapa. These are both of the slopes of Mt Ruapehu and, being the only skifields in the North Island, are extremely popular. In the summer, there is hiking and exploring the many trails that are throughout the park. Fishing is also very popular on the Tongariro River and its tributaries. Other activities include hunting, horse riding and mountain biking. Being an alpine climate and with some high elevations, temperatures can vary dramatically, even on the same day. If walking though the park during the summer it pays always to include some warm clothing, particularly at the higher altitudes such as on the Tongariro Crossing. Also, always make sure you take a rain coat or jacket. This is an area of high rainfall, as the prevailing westerly weather precipitates on these mountains. 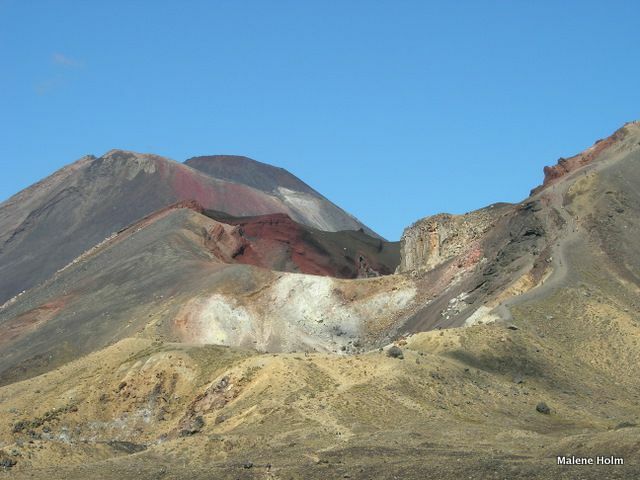 The Tongariro National Park is a very special part of New Zealand that is well worth a visit at any time of year.